Seldomly, for all intents and purposes, creative geniuses and original ideas derives from a happy accident, a mistake. Whether or not they would admit this publicly is their own prerogative. 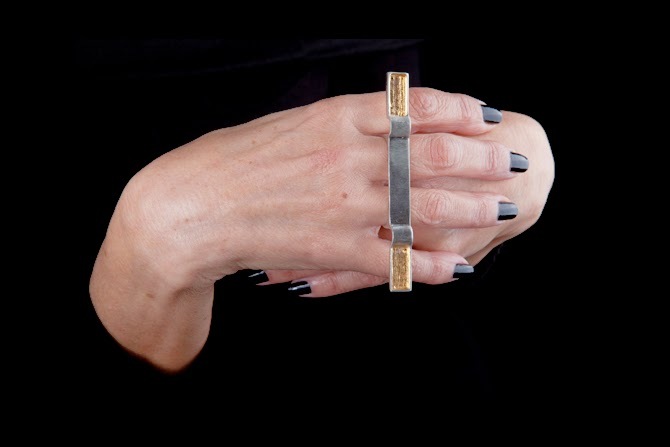 However Lebanon Jewellery designer Margherita Abi-Hanna uses this inspiring occurrence to create a rather unique story. 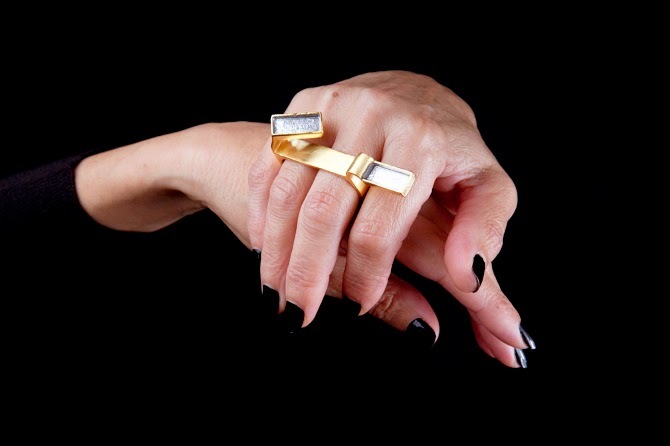 Distorted collection was borne during what was initially a routine production process of a ring from the previous collection Jewelry and a Half. Whilst struggling to extract the metal from its mould, the ring twists and warps as it gradually hardens. The result? The distorted version of the original ring. 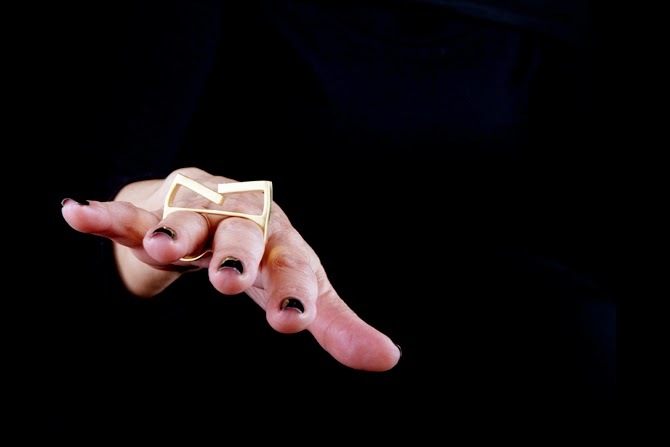 Inspired by architectural lines, minimalism and geometry, the collection rightfully takes centre stage of the wearer, with the hands subconsciously following the perceived movements of the ring in a collaborative waltz. Symbolically the collection represents the distorted view of our reality which is often warped by extenal influences where identity can be lost, unless taken to an unpredictable and non-comformist path. Like individuals, each ring is unintentionally created with its own unique imprint; unfollowing original idea and method. It is important that our perception differs from the next individual, allowing us, as Margherita puts it "to create our own experiences, circumstances, knowledge and preconceptions."